Hello. Today you will find out a little something about me. I HATE THIS MOVIE. This is by far, my least favorite of the 54 full-length animated Disney movies!!! Even worse than Disney’s Atlantis (By far the worst of the 54). 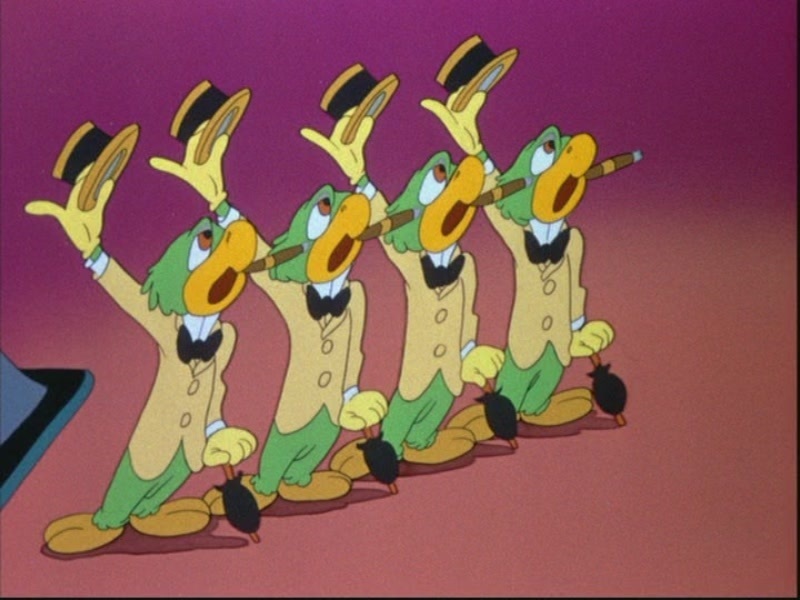 This just in, Jose Carioca died of lung cancer, SHOCKER. boy with a flying donkey, much like dumbo, and could be found entertaining by some… but not me (just watch Dumbo, it’s much better.) The last of the three is where it gets ridiculously boring. Jose Carioca returns to Donald in the last present, a pop-up book. Jose croons a horrible song about the town of Baia, which seems to go on for an eternity. 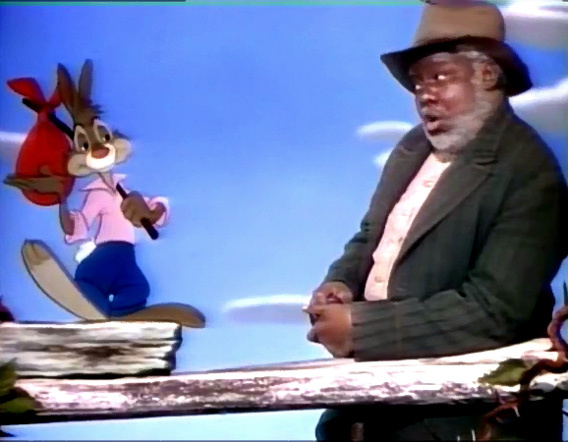 They eventually fall for a woman; (yes, a human woman), and the theme of the ENTIRE rest of the movie begins. Just give it up Donald, your a duck. I will not go much into much of the rest of the movie, as I have already given it more time than it deserves, but I will elaborate on what I said about the theme of the movie. First though, let me give some good news. You are through almost a third of the movie by now. The hair pulling and other side effects may begin, as I am sure the rest of the warnings are far behind you (except maybe nausea and vomiting.) 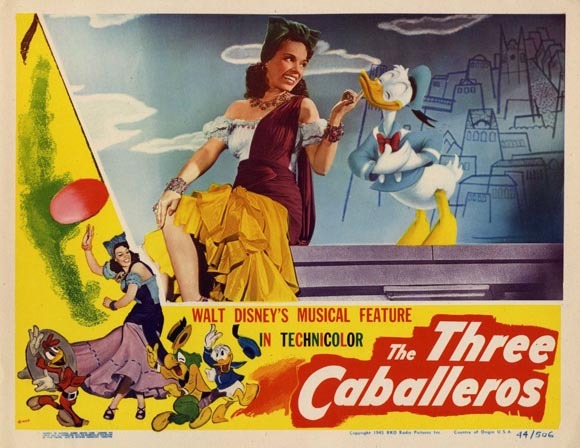 The “theme” is arguably a tour of Mexico, with the third Caballero, Panchito. 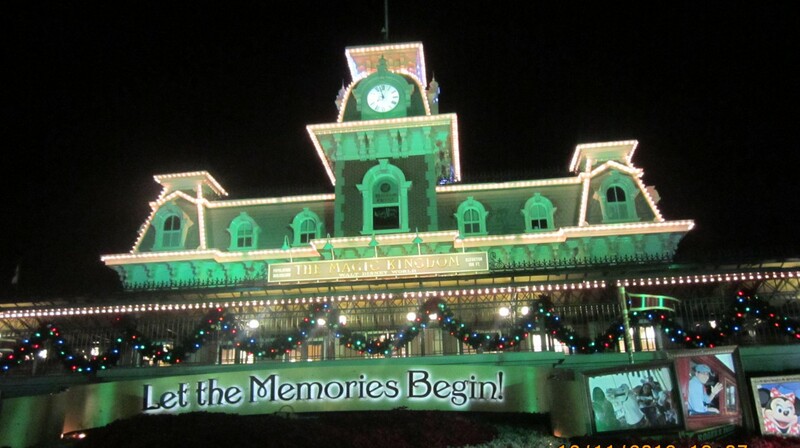 But no… THIS is not the REAL theme. 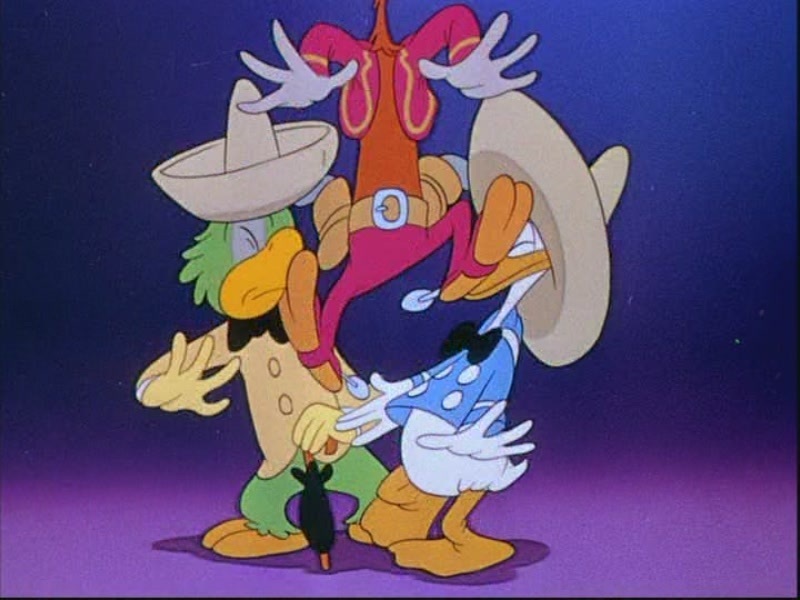 The true theme is Donald trying to kiss, stare at, make out with, kidnap or.. ok i’m getting ahead of myself. Maybe i’m looking into it a BIT too much. But basically he tries to get a woman the whole rest of the movie. Now if you are not: 1-dead or 2-asleep by the end, then you are probably one of those people who enjoyed Hugo, or Ponyo. If this is true, well, you are beyond my help I am afraid. 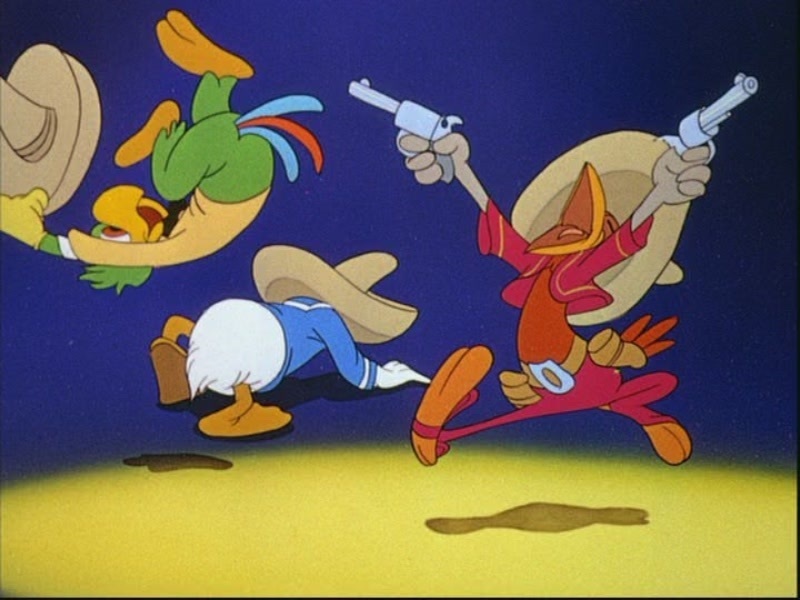 Yeah, you show ’em ,Panchito!! !